“The secretary general condemns the airstrike today by the coalition forces in Sa’ada, which hit a busy market area in Majz district and impacted a bus carrying children from a summer camp,” Farhan Haq, the UN chief’s deputy spokesman, said in a statement on Thursday. 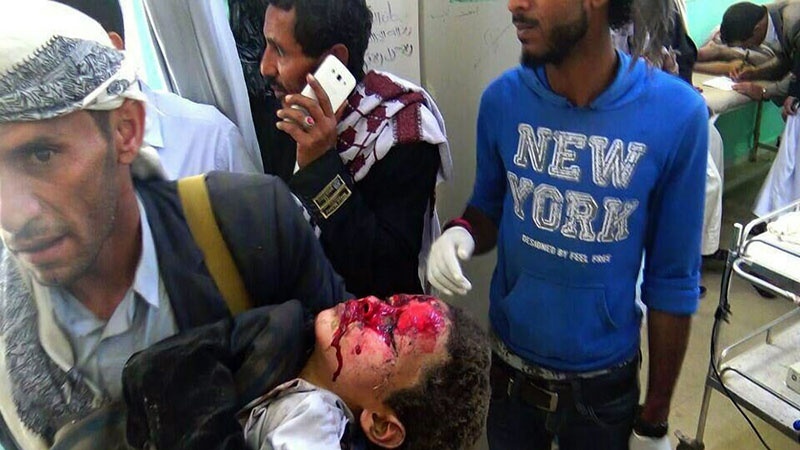 He added that Guterres has urged an “independent and prompt” probe into the attack that martyred at least 50 civilians, mainly children, and wounded 77 others at a market in Yemen’s northwestern province of Sa’ada. Johannes Bruwer, the head of the International Committee of the Red Cross (ICRC) delegation to Yemen, said in a tweet that most of those martyred by the airstrike were children less than 10 years of age. The Saudi-led coalition, in a defiant statement, has described the massacre as a “legitimate action” to target missile launchers used by Ansarullah fighters to target the southern Saudi city of Jizan.